Take the case off your phone and place it on some newspaper. Using a foam brush, paint your case white. I did about four or five coats of the white because the dark blue of the case kept peeking through. Wait for the paint to dry completely in between coats (about 15 minutes). 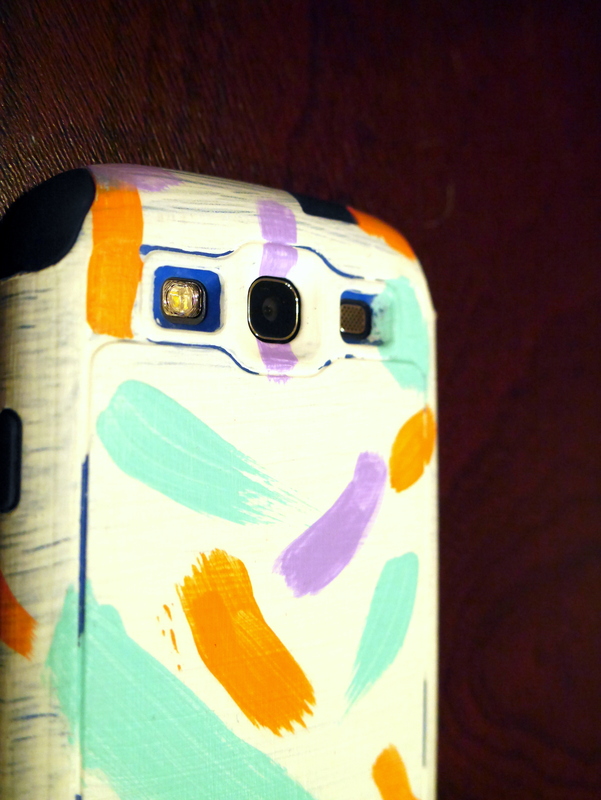 After your case is the right amount of white for you, use a paint brush to paint different color strokes onto the case. You could also use a foam brush or a large paint brush to paint stripes if you’d rather. Let the paint dry before painting another coat, if desired. Once the paint is dry, use a foam brush to lightly cover the case with modge podge. Let modge podge dry for 15 to 20 minutes. Do a few coats of modge podge to seal in the paint (I did five). When the last coat is dry, put it back on your phone and enjoy! 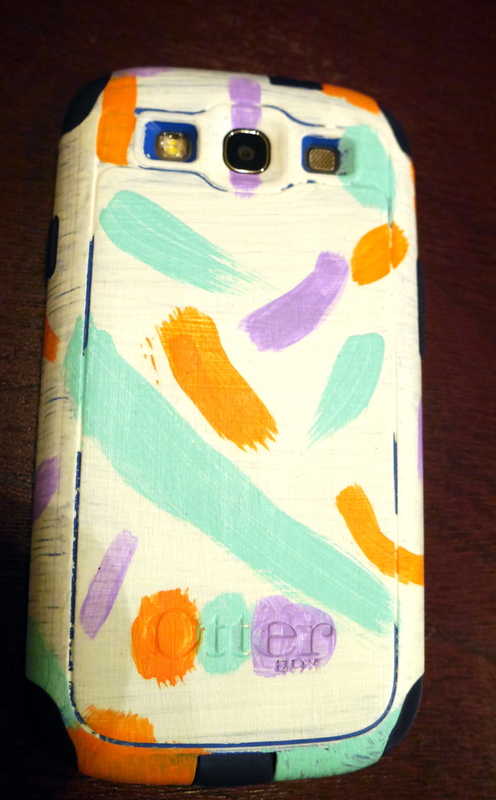 I went for a “random brush stroke” look but you could paint your case in whatever style you like. Heck, you could paint a portrait or a picture on there, I’m just not that artistic. I like how it turned out and now I just wish I had more cases to paint. I think eventually I might add more colors or even paint over it again completely when it gets old. This was the perfect fix for my phone case blues. I liked the purple stripe I did down the camera lens. It made me think of a warrior. Previous Post Day 209. Kora!